Hundreds of thousands of people dedicate HOURS each day to scanning “expired domain name” sites for short domains... great-"sounding" domains... domains with links in DMOZ and the Yahoo! directory. And only 0.01% of people EVER get ANYWHERE! WHY? Because they're doing the same thing as everyone else. They're all subscribing to low quality "expired domain name" sites -- alongside thousands of others. And the vast majority of subscribers only ever end up with feeble domains nobody else wants. Hell, most “expired domain name” sites KEEP the best domains as soon as they find them! QUICKLY search Google, Yahoo! & DMOZ for domains no longer registered - WOW! INSTANTLY scan for all available 2, 3 & 4 character domains - NO HASSLE! BUILT-IN Scan & Surf Browser allows you to locate unregistered URLs - EASILY! 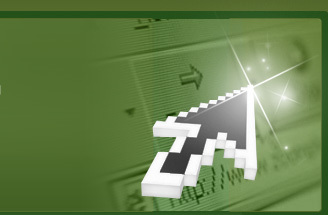 GENERATE thousands of exciting domains from a keyword - GUARANTEED! DOZENS of high-impact word lists to generate thousands of names - EXCLUSIVE! Whether you're looking for a domain that's already registered with Yahoo! or DMOZ, or you want a fresh and exciting domain name for your latest project.. Expired Domain Names Pro is YOUR solution! This really is one of the most exciting software products we’ve ever developed. Gain the edge! 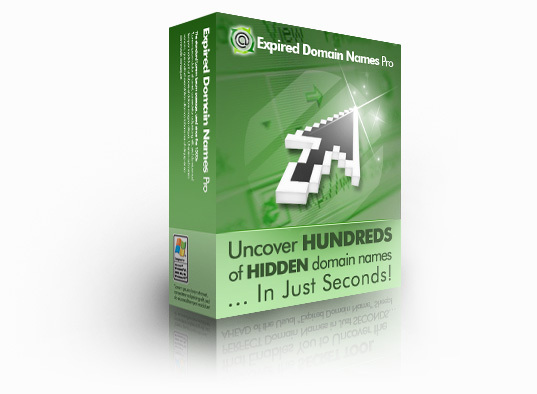 INSTANTLY Uncover Expired Domain Names! Want a domain with an existing flood of traffic? It's easy, with our software! Simply enter a search term and watch as Expired Domain Names Pro collects relevant domains from Google and Yahoo! - and automatically alerts you when it finds an expired domain. It’s VERY quick and it’s VERY easy! EXCLUSIVE FEATURE: Scan & Surf Browser! Don’t limit yourself, try scanning while you surf! With our built-in Web browser, you can surf the Internet as normal – and Expired Domain Names Pro will automatically warn you if a domain listed on the site isn’t registered. Discover VALUABLE Domain Names - Thanks to our WORD LISTS! Grab yourself exciting domain names that should've disappeared years ago! Just select from the dozens of extensive word lists we include with the software. Then sit back - and prepare to be amazed at some of the great names available! BUILT-IN Domain Name Generator - Just Provide a Keyword! Ever brainstormed for a domain name? STOP! Let us do the hard work for you. Just provide a base keyword and let the generator scan for MILLIONS of exciting new names - and it'll tell you EXACTLY which ones are available to register! IMMEDIATE Checks on All Two, Three, Four-Character Domains! Did you know there are STILL THOUSANDS of two, three and four-character domains available? And they’re expiring EVERY SINGLE DAY! Expired Domain Names Pro checks them all for you… and alerts you of EVERY domain name available! Expired Domain Names Pro is SO good it'll generate TOO MANY names for you! Don't worry - it'll automatically appraise your results, so you can instantly spot the most valuable domains. Make sure you buy the High Profile domains instantly! including obscure and country-specific domain extensions. With Expired Domain Names Pro, you get ULTIMATE coverage! Want to begin scanning for your DREAM domain name… RIGHT NOW? Remember, the domain names are OUT THERE, you simply need to search for them correctly. Stop wasting your time bidding on domain auctions or subscribing to sites that everyone else does. BE UNIQUE: Take the quest into your OWN HANDS, with Expired Domain Names Pro! Interested? Click here to view our screenshots and learn why our software is truly the BEST. And most exciting of all – when you purchase today, it’ll cost you JUST $39.95. That’s less than the price of a meal for two, and it’s a purchase that’ll keep on giving. COMPARE US WITH THE REST: We do NOT charge monthly fees. We do NOT force you to register domains through us. And we do NOT limit the number of domains you can scan. SPECIAL MONDAY BONUS – Buy before MIDNIGHT on Monday, February 4th 2019, and you’ll receive a bonus collection of SEVEN EXCITING WEBMASTER TOOLS. We’re talking FULL VERSIONS of popular search engine submission software, link popularity software, keyword generation tools, and MUCH more. You’ll receive download links for ALL of the exciting freebies the MOMENT you purchase. It’s just our little way of saving THANK YOU for your business! But that’s ONLY if you buy Expired Domain Names Pro RIGHT AWAY. Do NOT DELAY! Click on the following link to grab YOUR copy of Expired Domain Names Pro, TODAY! Plus, send me your BONUS Webmaster software – for FREE! Prefer to pay by PayPal? Still unsure? Click here to see screenshots of Expired Domain Names Pro in action! Expired Domain Names Pro Home | Screenshots | FAQ | Affiliates | BUY NOW!